← Spiritual Coaching Vol 3 #9 Where are the atheists now? This past summer I visited one of my brothers and his wife at Cape Meares, Oregon. While there we hiked, ate, slept, and were blessed with some of the most beautiful views one could ever have of the Pacific Ocean. On that trip we visited some truly spiritual places. God designed nature to make us stand in awe of our Creator. 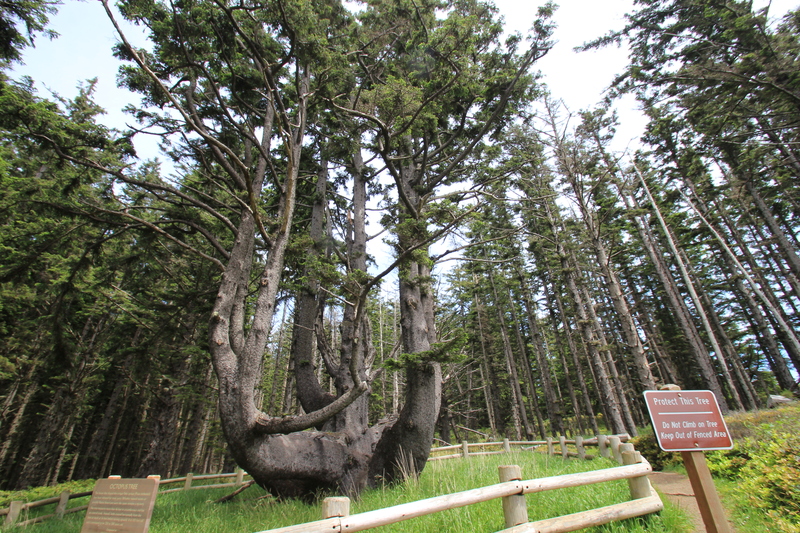 One of the most fascinating sights of Tillamook County is known as the Octopus Tree, located in Cape Meares State Park, west of the town of Tillamook, Oregon. Some say that wind may have fashioned its weird shape. Wind-bent trees lean away from the ocean. That is not how the Octopus Tree has grown. Traditions handed down to white settlers by the Indians say that the giant tree is a “burial tree” and a place of worship. It has been shaped as a young sapling to hold a canoe of a chief or a chief’s family. The lore has been passed from generation to generation among the native population. Archaeologists have found evidence that Indians lived along the shores of Cape Meares for 30,000 years. The tribes in this area for generations past placed their dead in canoes and then within the branches of trees. The trees, of course, had to be prepared to hold the canoes. Branches of a forest tree normally reach straight upward, toward the light, but those on a burial tree were forced, into a arches. Once the pattern was set, the tree might grow to a great size but kept the shape, this is the Octopus Tree legend. The Octopus Tree was also called The Council Tree. A place of meeting and worship. It is more that 60 feet at its base. No one can tell its age without counting the rings but some have suggested that it was a young tree about the time Jesus walked the earth. Jesus would often escape from his disciples and the crowds by heading into the desert or to a mountain, or onto a lake. Nature nourished his Spirit and it does ours as well. We need to preserve and protect the creation we have been made stewards over. We meet God in the quite of a stream, the shroud of a snowfall, the soaring mountain, and in vast deserts. “Be still and know I am God,” David writes in Psalm 46. Find a quiet place apart and commune with God today. Take the time to listen and not talk. Be in God’s presence and let God re-create your spirit. This entry was posted in Coach's Blog, denny meyer, life coach, sabbath, Sonrise Coach, Spiritual Coach - Denny Meyer, spiritual coaching and tagged Cape Meares, coach denny meyer, denny meyer, Octopus Tree, pastor dennis meyer, spiritual coach, spiritual coach denny meyer, spiritual coaching, spiritual coaching services, Tillamook. Bookmark the permalink.